Are you planning to have a wedding soon? If so, you obviously need to consider the best way to pay for your wedding expenses. According to a recent study, the cost of weddings is on the rise. Currently, the average cost of a wedding, excluding the honeymoon is $35,000. So what are some of the methods that you can use to pay for your wedding? There are many ways to pay for your wedding. You can choose to fundraise some money among your circle of friends and family. You can choose to spend your inheritance to pay for your wedding or use some of your savings. The biggest and more popular option is you can take out a Wedding Loan. Wedding loans are becoming the most popular ways to pay for a wedding and then repaying the amount once you start enjoying your new union. These happen to be the easiest way to get a loan to pay for your wedding. They offer you an opportunity to get a loan with a zero percent interest. This is as long as you pay the whole amount before the intro period is over. The type of credit card that offers you that option is a 0% Intro APR Credit Card. Imagine earning credit for taking a loan to pay for your wedding expenses. You can take a loan from the credit cards to pay for your wedding and the credit card company gives back a certain percentage of the amount of credit. For example, if you spend $30,000 for your wedding in cash, you get nothing. However, if you take a credit card loan, you will not only get a 0% Intro Period, you also get $450 in credit. Furthermore, you can get a discount of say $250 for spending over $1000 within 3 months. It is evident that taking a credit card loan for your wedding expenses is something you should consider. Even when you have the cash, you could earn free points or credit if you took a loan and repaid it a couple of months later. Of course, before the Intro Period expires. 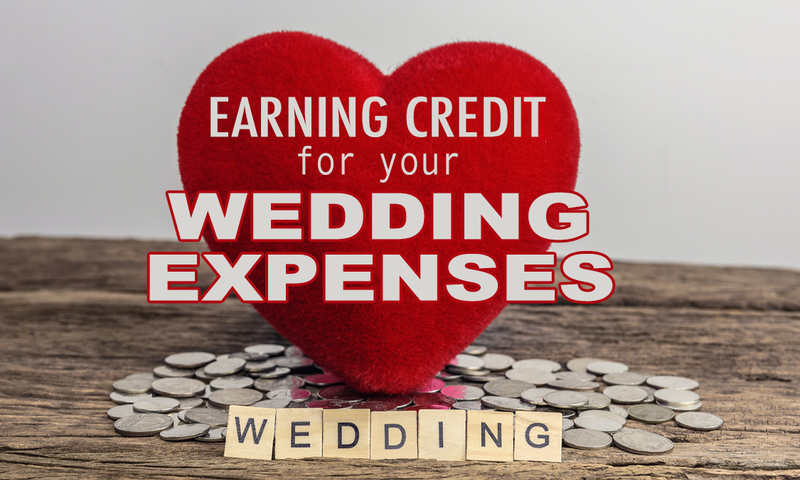 This could help you with less stress on how to pay for your wedding, earn points and credit and be able to keep your savings intact.